Up next for the US-American will be Christian Garin. Sam Querrery of the United States, Christian Garin from Chile and Norwegian NextGen star Casper Ruud had made it into the semi-finals of the Fayez Sarofim & Co. U.S. Men’s Clay Court Championship before rain interrupted play around 8 pm and forced the suspension of the match between Colombian qualifier Daniel Elahi Galan and No. 7 seeded Australian Jordan Thompson at 6-1, 4-6, 3-3 on Friday. Querrey defeated Janko Tipsarevic from Serbia 7-6(4), 7-6(4) in one hour and 47 minutes and is bidding to reach his third US Clay final. At 31, he is nearly a decade older than the remaining player at the ATP 250 event. 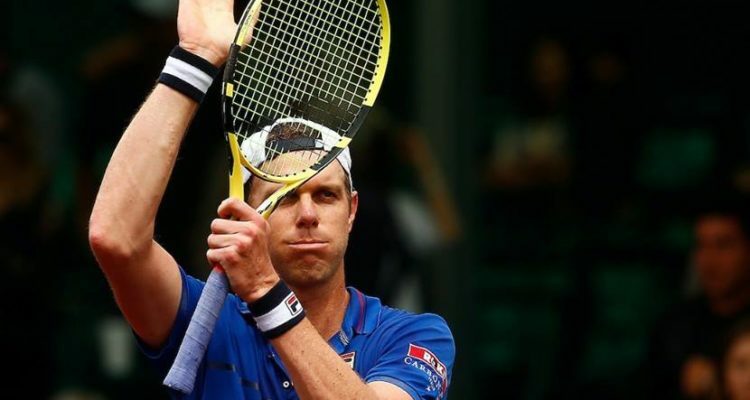 Querrey owns 10 career titles, while each of the other players are looking for their maiden title. The No. 8 seed will next take on Christian Garin, who has reached a semi-final for the second time in three events. The 22-year-old eased past Swiss qualifier Henri Laaksonen 6-3, 6-2 in one hour and 11 minutes. Garin, the 2013 French Open junior champion, is the first Chilean semi-finalist in Houston since Fernando Gonzalez defeated countryman Nicolas Massu in 2000. Casper Ruud only dropped one game to cruise past Marcel Granollers from Spain, winning 6-1, 6-0. The 20-year-old from Oslo saved both break points he faced, converting five of his own to advance in only 62 minutes. Ruud has reached a second straight ATP 250 semi-final. The son of Christain, the 1996 River Oaks winner, lost to Garin in the stage of the final four in Sao Paulo in February. The in progress singles match will be completed Saturday followed by both singles semi-finals. With the postponement of the doubles semi-final to Saturday, the doubles final moves to noon on Sunday, and will be followed by the singles final at 2 pm. This entry was posted in ATP Tour, ATP Tour News and tagged ATP Tour, Fayez Sarofim & Co. U.S. Men’s Clay Court Championship, Houston, Sam Querrey.